Terrain mat for miniature wargames. The perfect gaming mat to make better your wargaming tabletop. 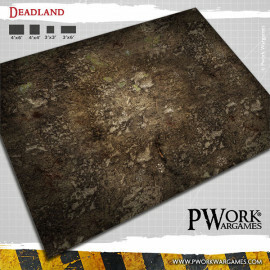 Ideal for Sci-Fi wargames, it represents a futuristic military base, for close and violent firefights. Play your battles at your favourite wargames in a futurisitc military base, an ideal location for hard fighting between regular or improvised military squads! 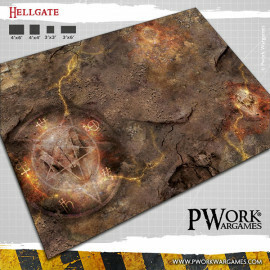 The gaming mat with the best value for money! Made from high durability premium class PVC. Non textured gaming surface with high quality printed picture. Resistant to scratch and tear as well as dirt stains. The gaming mat save space for excellence! Made from synthetic cloth-weave. Ultra-lightweight and easy to store and transport everywhere. 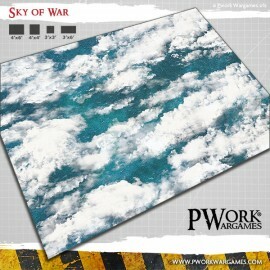 Durable and resistant gaming surface with high quality printed picture. 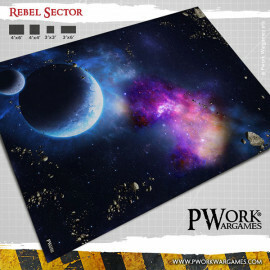 The premium gaming mat! Made from synthetic cloth with a 2mm thick rubber foam backing. It lays perfectly and istantly. Non slipper backing surface. Gaming surface resistant to scratch and durable. Gaming mat storage and carrying bag. 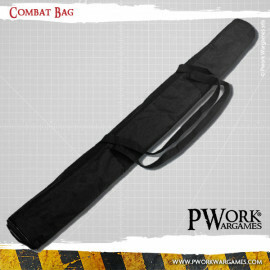 The perfet accessory to transport and store your wargames mats. 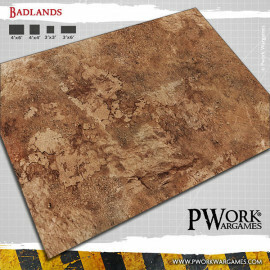 Ideal for historical and realistic battles, it represents a barren and desert landscape. Au top!rnBons produits, tarifs compétitifs! Delivered super quick this time! Very happy!